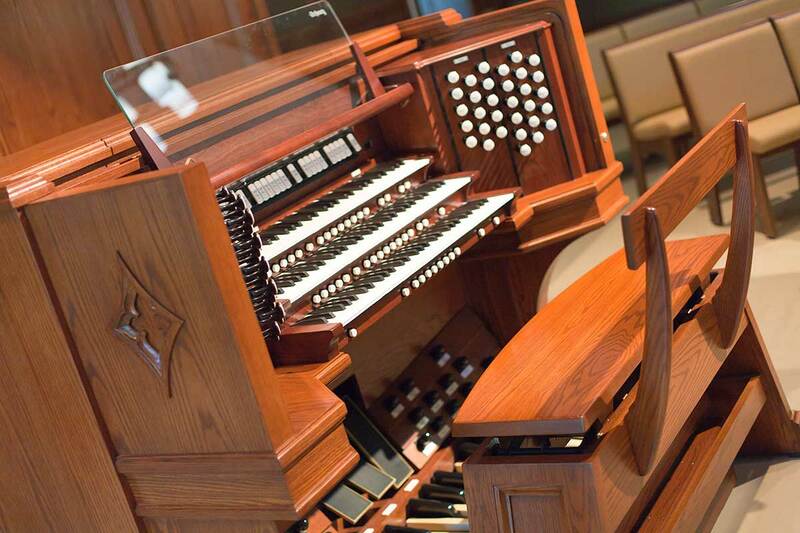 Many think of the console as "the organ". 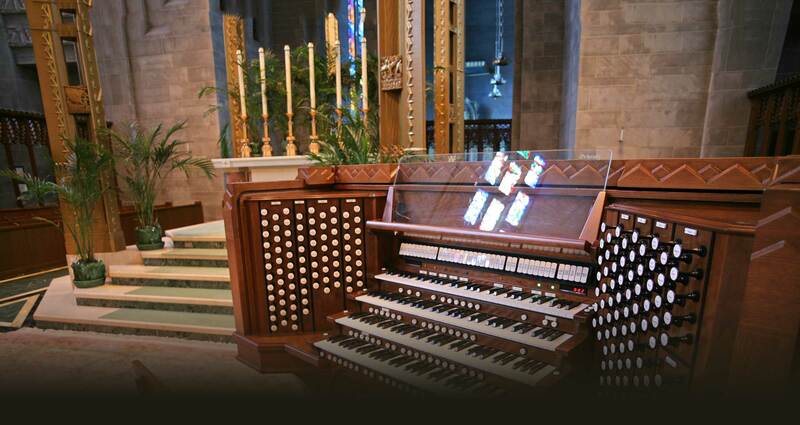 However, it is really the control center from which the organist can manipulate the myriad of musical resources available. 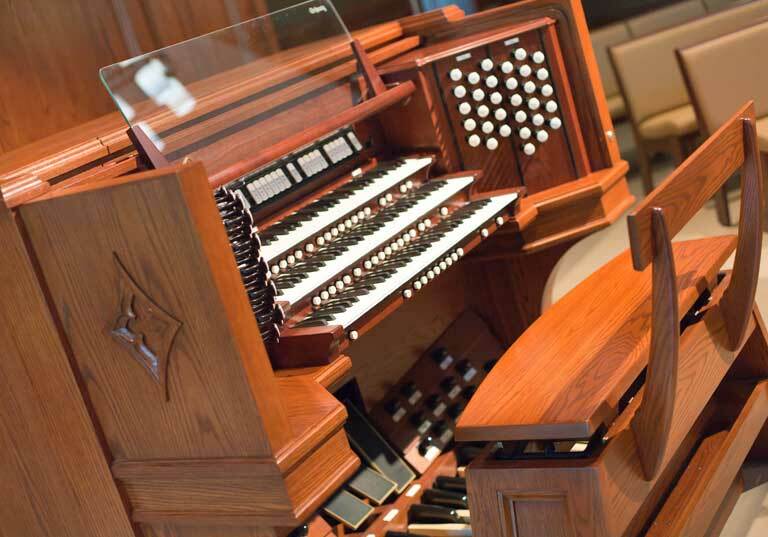 A wide variety of cabinet styles, detailing, stop controls, and layout possibilities make Schantz the choice of many who seek to replace or replicate consoles of existing instruments. 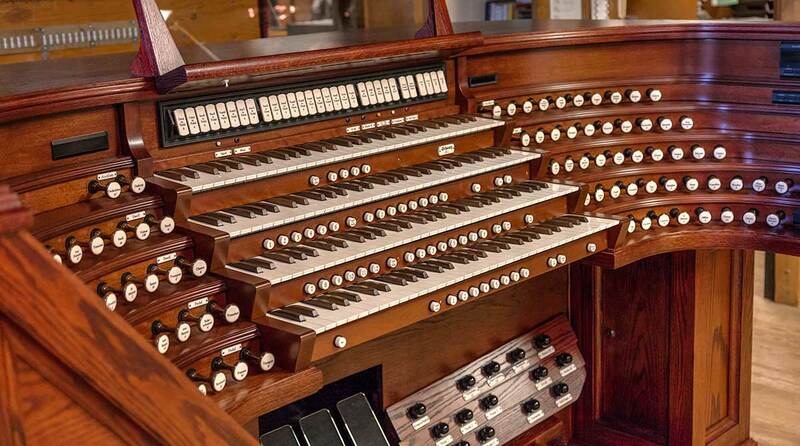 Rightly viewed as an attractive furnishing - complementing the aesthetic in which it is found - the console must also be a functional component of the instrument, as the musician will spend many hours in practice and performance seated at its controls. 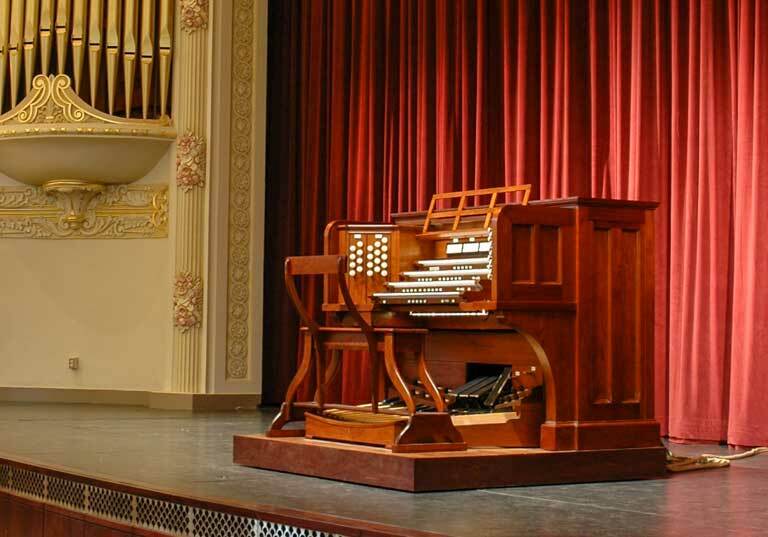 Long respected for their comfort, ergonomics, and reliability, Schantz consoles also incorporate modern features for the musician's convenience such as multiple levels of combination action memory, performance sequencer, record-and-playback capability, and MIDI. 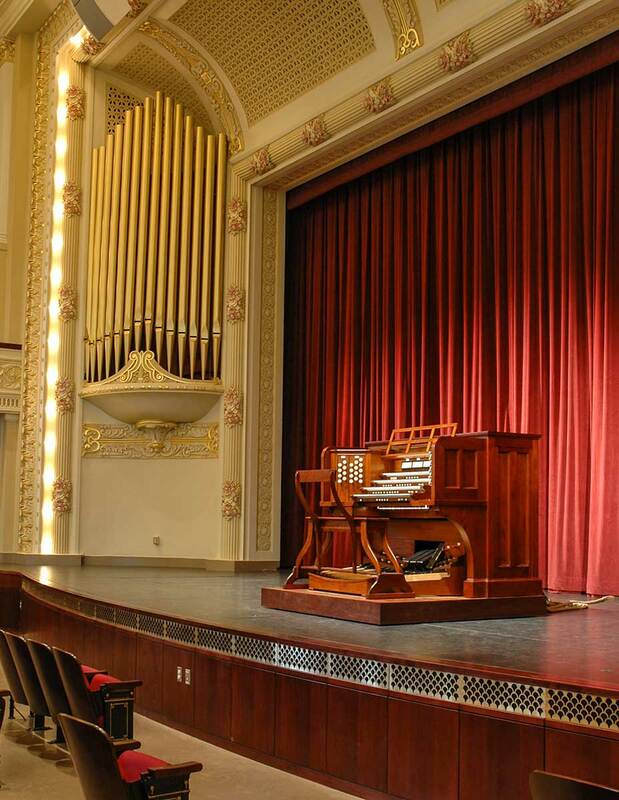 Copyright The Schantz Organ Company.